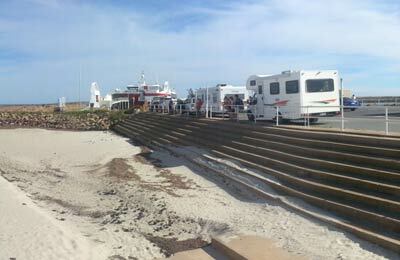 You can use AFerry to book a Sea SA ferry across the Spencer Gulf, between Wallaroo on the Yorke Peninsula and Lucky Bay on the Eyre Peninsula. The Sea SA car and passenger ferry service operate with the 56 metres ship the Aurora V which is able to load up to 80 cars and 300 people. There are crossings almost every day. 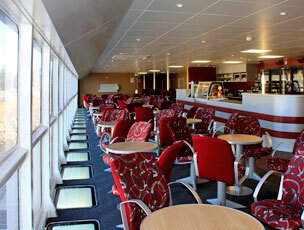 AFerry.co.uk always has cheap prices for Sea SA ferries and the latest special offers. See below for the latest Sea SA Ferry prices and sailing times. Click on your ferry route for a detailed Sea SA Ferry timetable. Onboard the Aurora V you'll enjoy beautiful views from the outdoor observation deck. The ship is also equipped, among other things, with a cafe, a movie theatre, disabled access and wireless internet access. Pets are not allowed in the accommodation/cafe area. Standard passenger hand luggage is limited to one piece only and must be kept with you at all times. Note that this doesn't include large suitcases, boxes, skies, etc. which will be charged extra and will not be accepted unless transported in a registered vehicle. How long before departure should I arrive for Sea SA Ferry? The booking process was really easy, and when we got to the port in Lucky Bay the check-in was just as swift. The journey itself was lovely, with some beautiful views. We had a good crossing and would definitely use again.